We love celebrating our amazing clinicians, that’s why spotlights are some of our favourite posts. For us, spotlights are a great chance to introduce our clinic team members, celebrate their accomplishments, and learn a little more about the people that make working at pt Health so great. 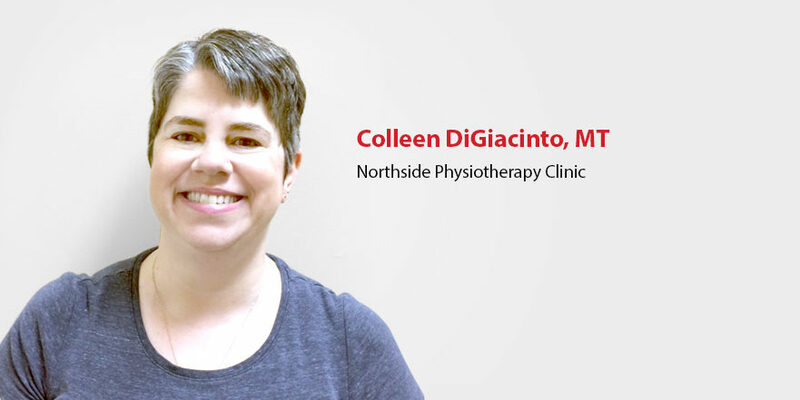 Today we’re turning the spotlight on Colleen who is celebrating 15-years at pt Health this week! In my practice, I help patients recover from motor vehicle accidents. I also focus on providing pregnancy/prenatal massage, trigger point release, Swedish massage, cupping massage, and table Thai yoga massage. What originally drew you to pt Health? pt Health bought the clinic I worked at, and I chose to continue on as an employee. I love it as I do not have to worry about deductions and taxes, it just makes my life just that much easier! We have great staff at the clinic to collaborate with, and we make sure to have fun while interacting with our clients and each other. I always find that laughter is the best medicine! On my busiest of days I treat up to seven people, and on my lightest day, I treat up to five. I make sure to take care of my self as well, taking breaks between clients so that I can get my mind and my room prepped for my next patient. I mostly treat patients that have been in a motor vehicle accident, but I also treat a fair number of pregnant clients as well. I help patients recover from frozen shoulder, tendinopathies, sprains and strains, and neuropathies. I had already been an employee of Northside Physiotherapy for six years since when pt Health bought it. This September I will be celebrating 15 years!! What is one of your favorite stories of how you helped a patient? I used to Scuba Dive!